I’ve just unboxed two 8-inch Windows 8.1 tablets. 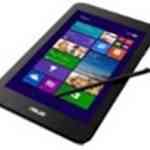 The ASUS Vivotab Note 8 and Dell Venue Pro 8 both have digitizer layers but one has a Wacom layer and a pen compartment. There’s a lot of testing to be done over the next few weeks. Yes, the screen on the Dell Venue 8 Pro has an incredible black level but the ASUS Vivotab Note 8 screen has the best viewing angle. The digitizer pen is, after I recalibrated it for my left hand, feeling great on the Vivotab. That’s just the start of a long testing program so I’ll stop there and give you the unboxing video. Enjoy and drop questions for me below. STAY TUNED: I’m planning a live session. 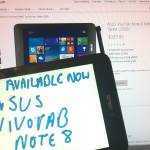 ASUS Vivotab Note 8 Now Available in USA. Plus: First impressions from Chippy. 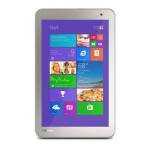 Toshiba Encore 2 WT8. This $192 Tablet PC arrives for review tomorrow. Thanks for the great comparison video! Why is there NEVER a perfect device? Make sure it’s chargeable through the micro USB 3.0 port as well in case you only have your phone charger with you. Right on. Thinkpad Tablet 8 has all of that but somehow decided not include a stylus. Looking forward to your review of the Asus VivoTab Note 8. 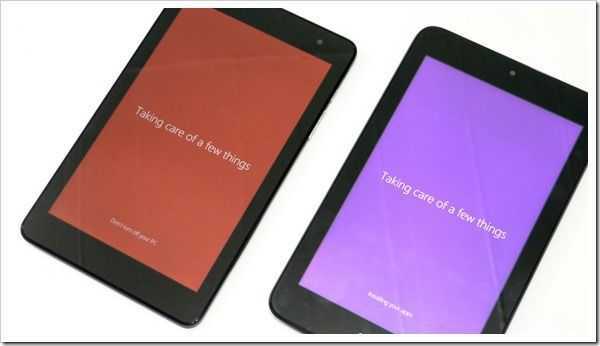 Looks like a great consumer grade tablet. Curious, are those stickers on the back that can be removed? Thanks! I’m anxiously waiting for the full review of the ASUS. I just need to make sure the battery life, build and screen quality are good. I’m glad ASUS decided to go with a matte back. The shiny back/lid of the T100 is very ugly. The Vivotab Note 8 isn’t my ideal UMPC but it’s currently the best Bay Trail one I’ve seen so far. 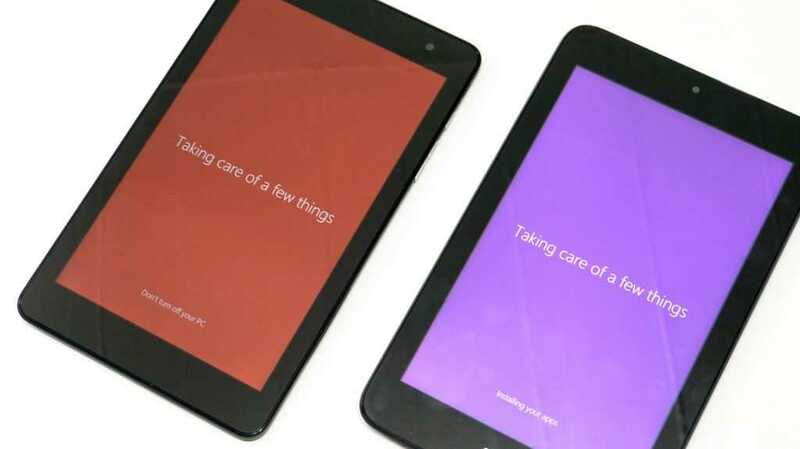 The Vivotab is shipping already? I have to check if it’s available in the US. Thanks for confirming that the pen has a button. I find tap and hold for context menus annoying. I’ll wait on the full review before actually buying the Vivotab. There are always compromises with devices and I’m glad ASUS didn’t compromise on the active digitizer and builtin pen slot. I had hopes for the ThinkPad but Lenovo disappointed me. USB 3.0 and video out are nice but they’re secondary to the experience provided when using the device itself. That means the active pen and slot wins out for me. Also, the too high PPI on the ThinkPad is actually a negative especially without that active pen (no, Windows DPI scaling doesn’t solve this adequately). So, are there any thin folio cases that convert into a stand for the Vivotab? 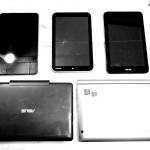 Does the digitizer have good palm-rejection during your testing? I’ve been using my Vivotab Note 8 for a week now and I have to say, for me, it’s been fantastic. My Galaxy Note 8 now sits, unused, in a drawer. I was a bit dubious at first because the front of it is a shiny black which looks disgusting after a few minutes. Is it perfect? No, but it does everything I want. The palm rejection is excellent. On my ATIV 500 I had to install a little program that allowed me to turn off touch when inking in Journal. It’s not necessary on the Vivotab. My only reservation is about how good the screen will be in very bright shade – my ATIV 500 was absolutely useless while in the Med last year. People complain that the Windows button is on the side but for inking having the front bare of any buttons is an excellent idea – no more accidental presses like on my Galaxy Note devices. As with a lot of Wacom devices, the accuracy at the edges is poor but I can live with that. Cases for it should be released in a couple of weeks, according to Amazon. 1.How is the screen resolution? Is it good enough? 2.What are the general apps that you use that makes use of the stylus? 3.Where did you buy it from? I am in Hong Kong and I think its not released here yet. 4. Which one do you recommend: 32 GB version or 64 GB version? 1. I think the screen resolution is just fine especially on the desktop where the stylus helps a lot. 2. I use mainly Windows Journal but have started using the Onenote app for jotting quick notes and reminders because it syncs across all my devices. Plus Sketchbook Express for doodling. 3. I bought mine from Expansys.uk. I live in Norway and the only place that would deliver here was Exspansys. They are a lot more expensive than other retailers, though, but delivery was super quick. 4. Depends on your needs. As I’m using it mainly as a notetaker 32GB is fine for me with a 64GB micro SD card. My documents and data fits easily on the card plus a load of photos. I have about 10GB left on the device itself. 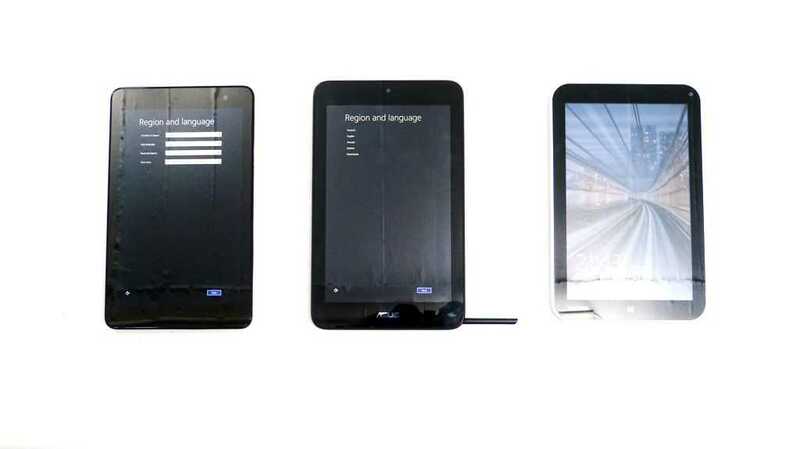 The Dell Venue Pro 8 sold in Canada has the same style packaging. Mine bought at Microsoft Store and the others I noticed at other retail stores here. So it’s not special bulk or commercial packaging but Dell is not known to have fancy packaging since their presence in retails have always been weak / half-hearted. Hope you will line these up w/ the Lenovo Miix 2 8 and the Acer W4 together and do another side by side comparison! (things like screen quality, touch experience etc that are not as easy to find from specs alone). I am surprised that more don’t have HDMI than those which do. Miracast is very un-PnP today, so it’s not something I would prefer. Thus I actually prefer what my W3 has, but wish it is Bay Trail! Myself only, digitizer, thickness don’t bother me as much. Screen does, and it’s one thing I regret on the W3, as it is mildly annoying. Personally I think I/Os are important, and an important differentiator to iPad and Android tablets as they have few (to none). Is it really that expensive to add those I/Os? I don’t know. I think they just want to protect their more expensive products like bigger tablets or laptops, so they don’t want to put too much into these small and inexpensive models. I am surprised nobody complains about the lack of wireless charging or charging on a charging cradle. The fiddling with cables and fragile USB ports or, even worse, proprietary charging ports, often at the end of the day with low light conditions, seriously bothers me ever since I bought a charging cradle for my blackberry phone. When I forgot to bring it on a trip I really missed it. I would have thought it would be a good thing to have on a tablet too. I don’t disagree, but I don’t want to carry a dock / wireless charger that is larger than an AC adapter (which is quite small and light these days) when I travel. I agree those micro USB is fragile (dropped my Nook Color and the plug was damaged, and it was a proprietary cable, despite being Micro USB, luckily Nook knew of the common prob w/ this cable and replaced it for free), actually more than the round DC jack that my Sony Tablet P or Acer W3 use, but if you go travel, and don’t have a dock, then your chance of damaging it is even higher when you are in an unfamiliar environment (hotel room in the dark kick cable while going to bathroom in the dark drop tablet damage cable kind of example). Wireless charging is nice, but the charger pad is not small to carry for travelling. One problem w/ charging dock is it is usually incompatible with cases. So you have to remove the case (sleeve style) before you can dock, adding time and effort. This is the reason I didn’t buy a dock for my Nexus 7. But you are absolutely right, Micro USB is more fragile than Mini USB, and even Mini USB is not very accident proof. A very good design is the Sony Ericsson cellphone plug, or better, the older Ericsson cellphone plug, that you can twist and detach (both kinds). Absolutely no way to damage it by torque. But no other companies make stuff like that, only Ericsson did. If USB has this kind of mechanism, then it’ll be perfect. For most people (and me), the time that you are NOT travelling will far outweigh the time you are, so having a dock/wireless charging pad at home (bedside) would make perfect sense. When travelling occasionally, I would not mind fiddling around with the micro USB or other charging cable. Wireless charging features require minimal extra equipment inside the tablet (at least that is the case for aftermarket wireless charging solutions for phones) and the added weight is also small. I personally don’t care much about wireless charging. I had a wireless charging pad for my Galaxy S4 but I don’t use it anymore. It seems wireless charging isn’t really gaining much traction either. That’s probably why “nobody complains about the lack of wireless charging” on this tablet. As for a cradle. I’d only use one if it was a full featured dock with extra USB ports, video out, fast charge, etc. If it’s just charging then I wouldn’t spend money on it. Can’t wait for the review of how good touch and pen use are. Attaching external things is great and all but the more important thing is how good the experience is when using the device. With these new generation of UMPCs that throw away the keyboard and mouse, an active pen is a must. Even on other touch friendly OS’s, an accurate pointer and mouse hover capabilities greatly enhance the experience. Where can I buy the Vivotab in the US or is it only out in Europe? Thanks.